News of Innovative Securities - Which Payment Card is the Best? One of the hardest questions to answer is this: which payment (credit or debit) card is the best to have? There is no easy answer to the problem, since the card networks rarely tell us exact numbers concerning their cards and a lot depends on the user as well. 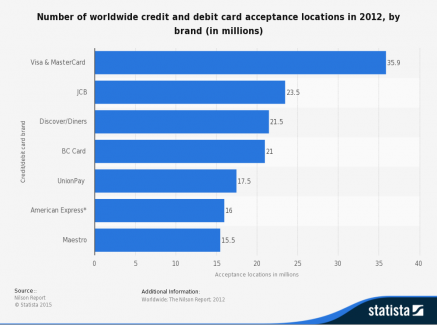 One thing seems sure though: MasterCard and Visa are the biggest. Payment cards are handy: we don’t have to carry a lot of cash around but we are still able to pay for anything if a shop accepts our card, and to be honest more and more stores are equipped with terminals. We can also access cash through ATMs if that is what we need. No matter if we have a credit, debit or a relative rare charge card, we can basically do the same things with them, and this is a rather convenient way to access our money. The usage conditions can depend on several things: the card network, the issuer (usually a bank) and the type (credit/debit/charge) of the card as well. Some banks provide insurance cover to their cards, others grant travel discounts or other benefits. It is nice to have these extras, but in the day to day life of the cardholder what really matters is this: how many shops accept the card we have? This is where it becomes hard to answer, since the card companies and issuers usually don’t tell us exactly how many terminals they have. According to Nilson Report, the most accepted card brands worldwide are MasterCard and Visa with approximately 35.9 million merchants. 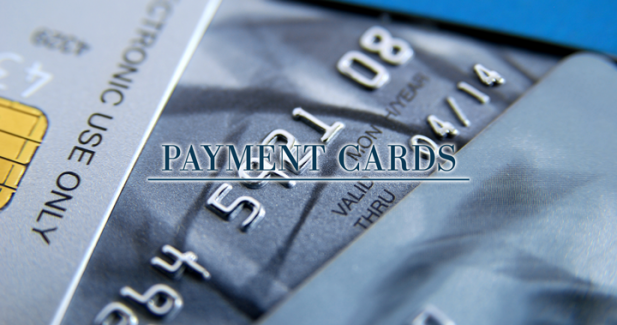 It is worth mentioning that most shops which accept MarterCard accept Visa as well. Other companies have a lot less terminals as it is seen in the graph below. It is also important to mention that the different cards are not accepted worldwide the same way. For example, American Express probably still has less terminals in Europe than MasterCard and Visa. Because of this, it is always wise to check our destination to see which card is the most widely accepted where we are heading. On the other hand, there are cards issued in the US that may not work in Europe, since they have no EVC chips, only magnetic stripes. Another concern is online shopping: most e-merchants are accepting MasterCard and Visa, but there are a lot of online shops that are not taking Maestro cards for example. At the end of the day, if we want a new payment card, it is the best to think about where and how are we going to use it the most. As the most experienced travellers usually advice, if we really want to be sure, it is the best to have more than just one card, but the best types to have are still MasterCard and Visa. Disclaimer: Innovative Securities Profit Max offers prepaid MasterCard cards. This way, our clients can always access their funds through one of the biggest card network worldwide.